Abtech has a comprehensive portfolio of database administration services, to keep your environment stable and running at peak performance. With more than a decade of servicing Oracle solutions, our Certified Oracle DBA’s will ensure your Oracle database runs smoothly. When a problem involves working with your application provider or operating environment OEM, our team will be with you all the way until the problem is solved. Our skills include managing Oracle RAC and Dataguard environments in single site and multi-site configurations. Microsoft SQL server is widely used to support business critical applications and Abtech's DBA’s have the skills to manage it. 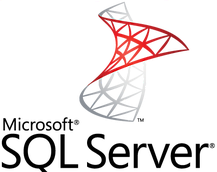 With our Microsoft SQL DBA services, you can leave us to look after your SQL server, so you can focus on your business needs. If your SQL server is clustered or part of a multi-site HA configuration we have the skills to keep it running all the time. Abtech's Informix DBA skills are second to none. We manage Informix environments that support a wide range of business-critical applications. Typically our customers don't have Informix skills in house, but rely on Informix to keep the business running. Abtech ensures that it runs smoothly and optimally. Abtech’s Remote Database Administration service frees up your database administrator’s time from mundane tasks that consume the day. Abtech’s Remote DBA services deliver instant ROI because we eliminate the costs of hiring, training, and retaining in-house DBAs. Monitoring of memory segments (i.e. SGA, Share Memory, Memory Buffer Pools). If needed, our DBAs can perform the following tasks to ensure your database is running optimally and avoid future problems. When your database needs someone to manage and tune it, but you don't need a full-time DBA, Abtech can help.